Oktoberfest 2010 Grand Junction - Alpen Schatz Booth, a photo by Alpen Schatz - Mary Dawn DeBriae on Flickr. 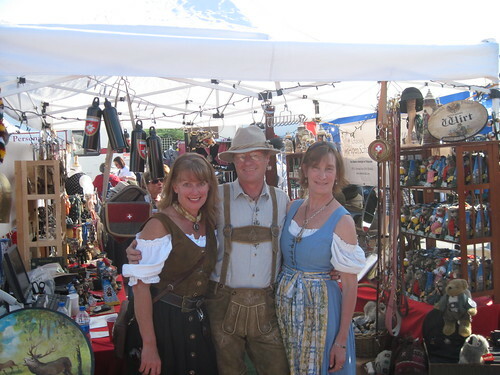 We will be participating again this year at the big Oktoberfest celebration in Grand Junction, Co, on Saturday, October 1, 2011. Come and visit us and get your true Alpen Attire for all of your Oktoberfest parties!